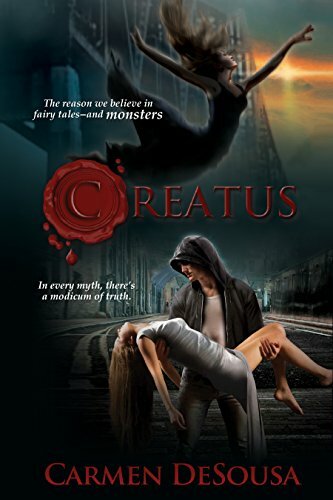 For four thousand years, creatus have concealed themselves from the humans who hunted them almost to extinction. Unwittingly, one creatus will endanger them all... As with most of his family, Derrick Ashton knows his future and what position he's destined to fill within his unique society. Everything changes, however, when he breaks one of his family's strictest laws and falls in love--with a human. In his quest to protect the woman he can never have, a twist of faith propels him into a new role that will cause dissension among his family and endanger the anonymity that they've spent thousands of years protecting. Now, he will risk everything to save the girl from humans and his own kind. The one thing he can't save her from, however...is herself. The Creatus Series is not your normal paranormal story...it's a realistic romantic mystery based on the myths you've heard your entire life. Prepare to believe in the unbelievable!